You can choose to believe me or not, but what I’m about to tell you is 100% true! When we got up yesterday morning, we noticed that the clock on the PVR was out. I didn’t think anything else about it until I talked to Mister after work, and we discovered that the whole electrical panel seemed to be busted. He put a call in to our electrician friend, who was going to come by the house today and take a look. Ruettiger, figuring he could help out, grabbed some of Easton’s tools and took a stab at fixing it himself last night. 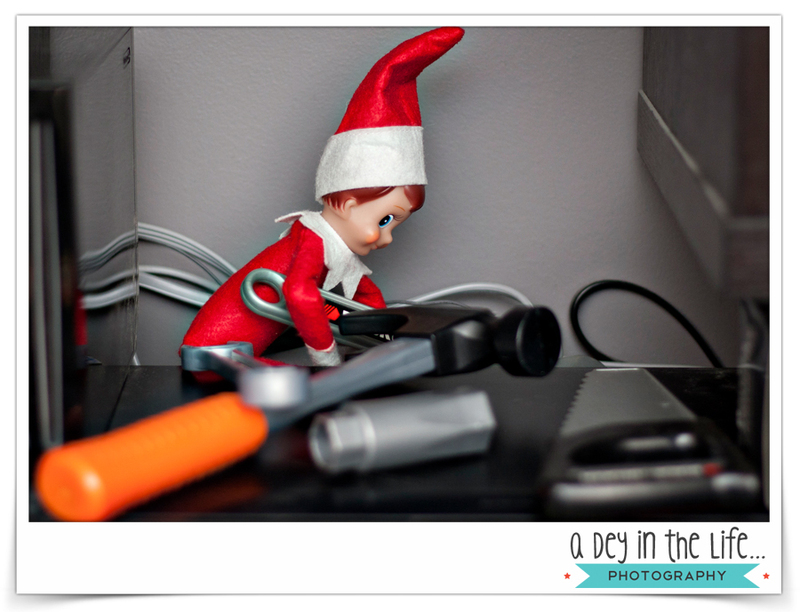 Call it elf skills, call it Christmas magic, call me CRAZY, but when we found Rudy this morning, the PVR clock was on… and the entire panel is now working again!